Online ordering menu for 1 POUND BURGER. 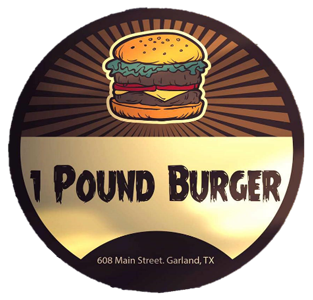 We serve sandwiches, burgers, and wings here at 1 Pound Burger. Our sandwiches include Grilled Chicken, Fried Chicken, and Chicken Tender Sandwich. Find us south of Garland Landmark Museum at the corner of Main and 6th Street. We're not far from Garland High School. Order online for carryout or delivery!